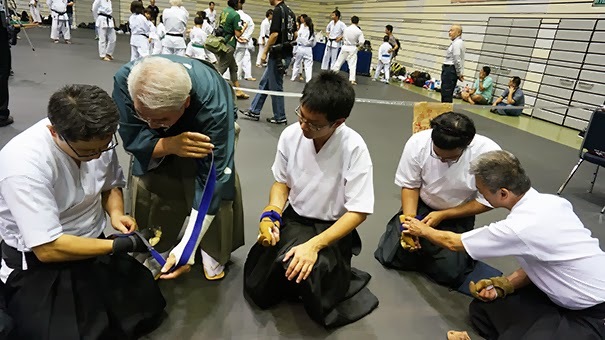 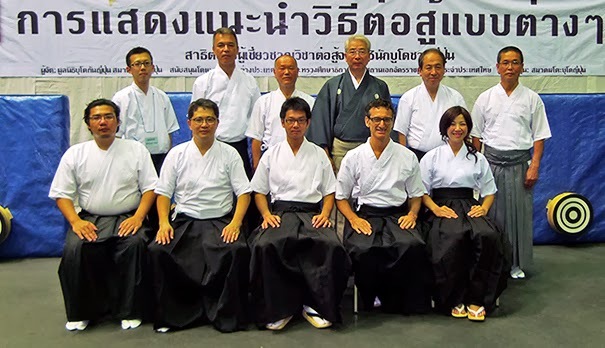 Budo demonstration has ended on 17-Nov-2013 with a very successful result. Ito Toru sensei, Matsumoto Yoshihiro sensei, Atarashi Masato sensei, Isobe Takashi sensei and Mori Shigeyuki sensei, Tobe Takahito-san, Kyudo's demonstrator team, have magnificently demonstrated the Kyudo for every audience. 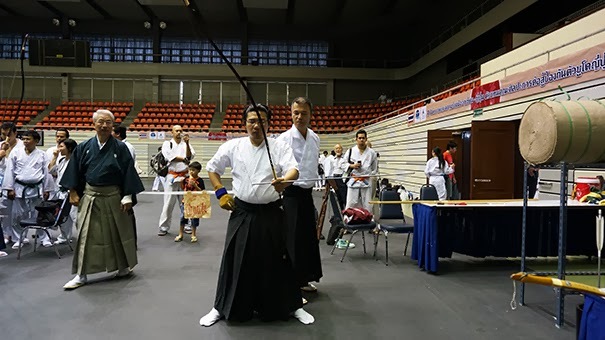 After preparation of the Kyudo demonstration area is completed, we have a change to receive a lesson from every sensei. 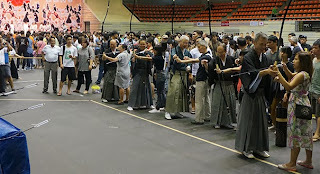 Even it is a short time, we have received a great lesson and a guide on kyudo which we will never forget. 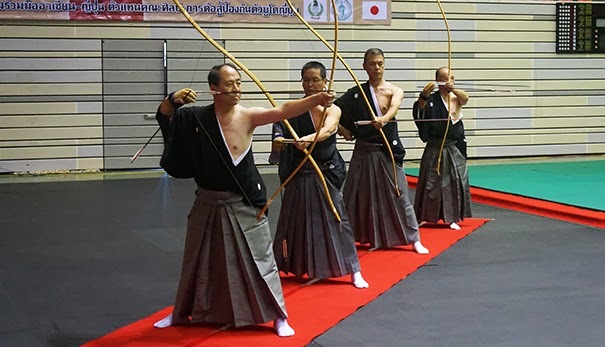 As a representative of Siam Kyudo Kai, again, I would like to express a sincere gratitude and appreciation to every sensei for their kindness and lesson. As well as Sakuma-san from Budokan who support us the equipment. And last, our member who help make this happened.